Thanksgiving is a wonderful holiday for gathering your loved ones together and celebrating the joys in your life over a meal together. This year, your table may be a bit smaller than you are used to — in fact, it could be the one in your RV! 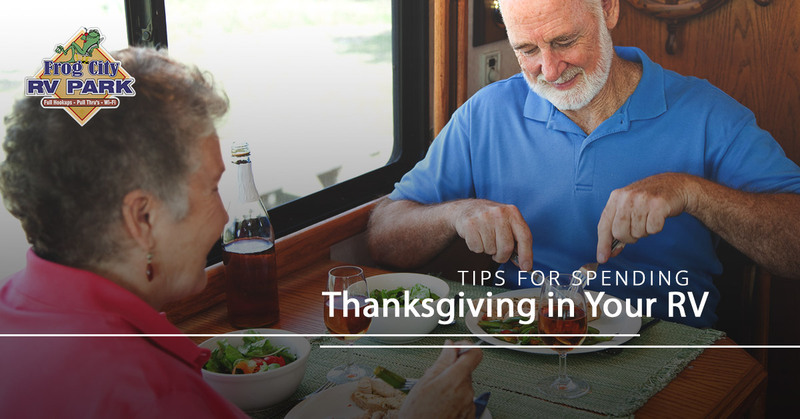 If you will be on the road for Turkey Day this year, it doesn’t mean you can’t celebrate. In fact, it’s perfectly possible to have a delicious and abundant Thanksgiving table, even with limited space. 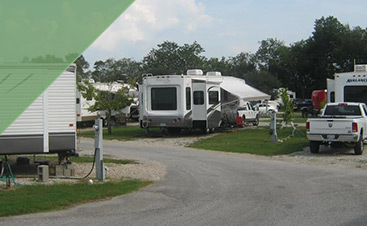 If you’re going to be passing through Louisiana around the holiday, we would love to welcome you to our RV park in Lafayette! RV ovens are just as effective as those you find in kitchens around the country, but they are significantly smaller. The last thing you want is to buy a big turkey, only to find that you can’t fit it into your oven! If you’re going to make turkey at home, ensure that you have a small one that will actually fit in your oven before you make the investment. Feeding a larger crowd that isn’t going to be satisfied by one small bird? Consider buying two smaller turkeys so you can feed the masses while still fitting the birds into your oven once at a time. Alternatively, buy a big turkey and split it into manageable pieces. You want to make sure your turkey is properly cooked, so as hard as it can be, resist the urge to peek into the oven to check on how it’s doing. Every time you open the door, you let out more heat, and this prevents your turkey from cooking completely. If you have access to a grill, this is a great opportunity to grill up your turkey. This is a delicious way to add more flavor to your poultry, and as an added bonus, you are able to free up oven space for your sides! You can make your life a lot easier by thinking ahead. Before you hit the road, cook up all your favorite Thanksgiving sides for the big day. Store them in your freezer or fridge and simply heat them up when you’re ready. Your crockpot can be your best friend when you’re living the RV life, and this is especially true for Thanksgiving. There are many dishes you can make in the crockpot, including mac and cheese, sweet potatoes, green bean casserole, and stuffing. In addition, if you have an instant pot, you can also cook a variety of these recipes. Do you need to opt for store-bought sides? Nothing wrong with that! Many grocery stores and restaurants will have delicious options for you that will save you time and cooking space. 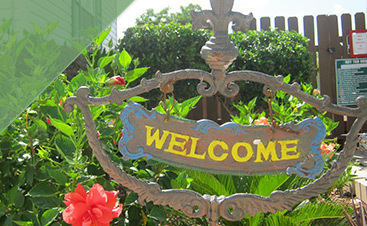 We would love to host you for Thanksgiving this year! 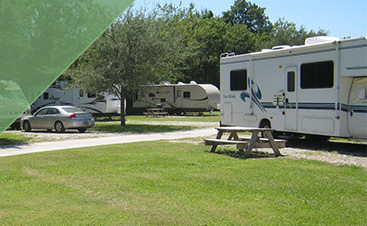 Come visit our RV park in Lafayette to have a delicious turkey day.